The consumer electronics multinational believes to be one of the « big Chinese brands (大国品牌). » But what exactly is a “Chinese brand” ? « TCL is willing to represent Chinese brands on the world stage, to refresh their image and to export national values. » These words by Zhang Xiaoguang, general manager of TCL’s Brand Management Center, were said during the recent “Chinese Brands Summit” held in Beijing, and reported by the state-run agency China News. In terms of turnover, the manufacturer of TVs, smartphones and household appliances generates nearly half of its sales abroad. It ranks among the top three brands in the global LCD (liquid crystal display) TV market, with a market share of 10.9 % in 2017, according to IHS Technology. Just before 2018 FIFA World Cup, TCL recruited Brazilian footballer Neymar to appear in its advertising campaigns in 14 countries. The brand was also a partner of 2018 FIBA ​​Women’s Basketball World Cup. 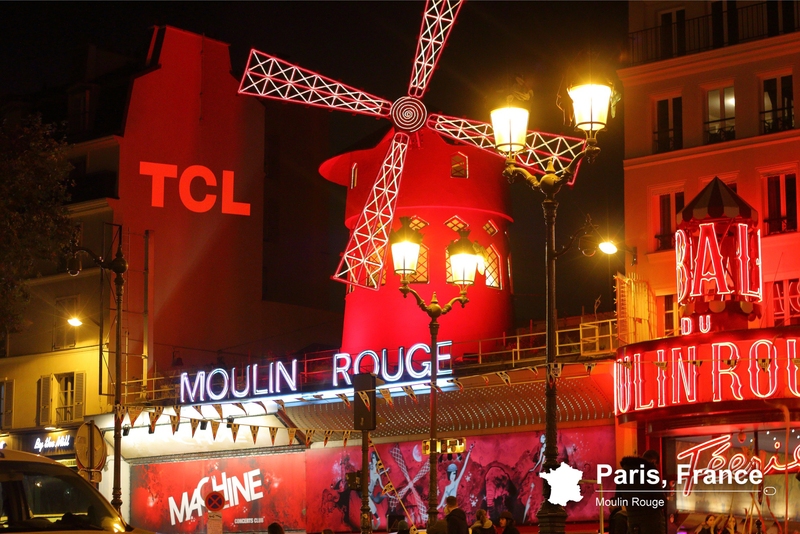 Earlier, in 2017, the TCL logo was projected on iconic Western locations, such as the Coliseum in Rome, the Empire State Building in New York or the Moulin Rouge in Paris (photo above, ©TCL). However, is TCL perceived as a “Chinese brand conveying Chinese values ​​and culture”? 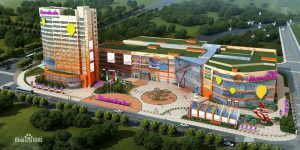 This desire to use its brand as a national promotional tool is not the prerogative of all Chinese companies. An article by the South China Morning Post (a Hong Kong daily newspaper owned by Alibaba Group) refers to Miniso and Mumuso as brands of Chinese origin that « culturally appropriate » another country. « Miniso‘s minimalist homewares are viewed as being a similar vein to Japanese lifestyle brand Muji », the newspaper says, before stating that « between 80 % and 85 % of its products are produced in China, and 10 % to 15 % in South Korea and Taiwan, according to an employee at a Hong Kong branch. » Under its false Japanese identity, Miniso, backed by investors including Tencent group, intends to accelerate its internationalization and to open 10,000 retail outlets worldwide by 2020, announces the South China Morning Post. Another young and dynamic Chinese discount lifestyle retailer, Mumuso, whose logo contains “.KR” letters, is unambiguously inspired by South Korea. « In Southeast Asian countries such as Vietnam, – where Korean cultural exports such as K-pop, K-dramas, and K-beauty have become widely popular over the past decade, and where younger consumers dominate the market in a nation where the median age in 2015 was 30.5 – Mumuso is fast becoming a household name », says the South China Morning Post. This marketing choice is not without its critics and controversies, while « cultural appropriation is a gray area », according to a Taiwanese IP specialist quoted in the article. For its part, state-run newspaper Global Times highlights EP Yaying, a Chinese women’s fashion brand that celebrates 30th anniversary. « Rooted in traditional Chinese culture, EP YAYING is committed to preserving cultural heritage through commercialization », the article insists. Chinese culture can be reflected in dresses – the Global Times informs us that the group set up an advanced artisanal workshop dedicated to preserve and promote the development of Suzhou embroidery as well as embroidery from Hunan, Sichuan and Guangdong provinces. Likewise for specifically Chinese products like baijiu, brand identity is done naturally. For televisions and household appliances, on the other hand, cultural representations are more difficult. Let’s wait and see what TCL will imagine to become a pivot of Chinese soft power.